One of the most significant day in our lives is our wedding day. Communication is an important aspect for its success. More often than not it is ignored by most people, leaving this important element of the wedding to chance. 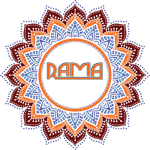 We at Rama events works with you to come up with stylish and innovative way to reach out to your friends and family. Wedding communication involves elements like Invitations, Stationary, Thank You Cards, agenda scrolls etc. We help you design and deliver the best wedding cards as we customize it according to your taste and style.